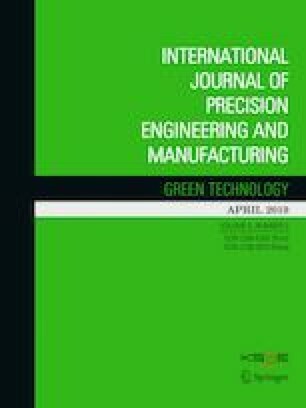 The current study evidentially brings out an interesting finding that the chemically inert microcrystalline diamond (MCD) coating having sp3 hybridized C–C network could produce no better result than an uncoated carbide tool in machining aluminium when the latter was provided with the assistance of small quantity lubrication (SQL) technology in an intermittent machining operation like end milling using sunflower oil as cutting fluid. Such an outstanding performance of uncoated tools under SQL condition is thus found to be a potential green solution for milling of aluminium and its alloys where only built-up-edge formation is the primary challenge. Investigation was done on pure aluminium, considering that aluminium alone or Al-rich solid solution phase of any Al-alloy causes the chip to adhere to tool. The SQL, at a flow rate of mere 10 ml/h, when adopted to assist an uncoated carbide tool resulted in superior surface finish (about 75%), compared to that produced by a MCD coated tool under dry environment. An oil film containing long chained molecules of fatty acid got developed at the interface of chip and uncoated tool, enabling an adequate hydrodynamic lift to ensure the arrest of aluminium diffusion in Co-matrix. On the contrary, the rough diamond coating morphology, having projected hard and sharp crystallites of MCD with average height of 1.6 µm resulted in unfavorable deeper groves on finished surface. In addition, the edge radius on the tool, which is otherwise for an effective coating deposition, impaired the smooth shearing action during machining. Interestingly, the same rough morphology of MCD coating served as micro reservoirs of cutting fluid, during SQL application, resulting in a substantial improvement of surface finish, but yet poorer than that obtained under SQL-uncoated tool combination. Two important characteristics of sunflower oil, i.e., its lubrication and wetting ability were investigated and compared with those of a commercially “green” cutting oil before selecting the former as an eligible alternative.